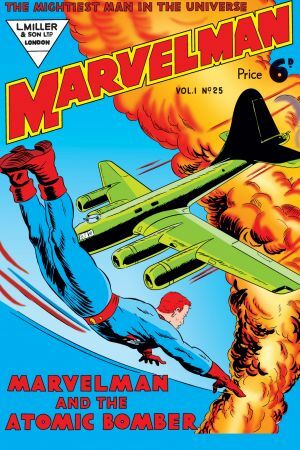 Celebrating 80 years of Marvel! 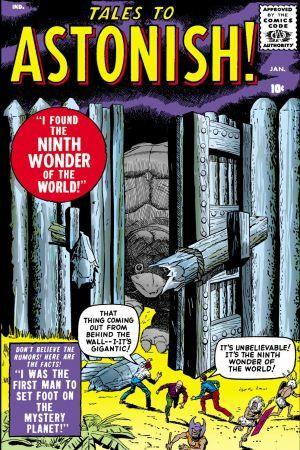 From sci-fi spooks, tales from the crypt, to huge monster mashes, sample our earliest days in comics with these 1950s wonders! The building blocks of modern Marvel starts here! Start with this space case starring a boy from Uranus (who might have an aversion to pants?) as he returns to his birthplace amongst humanity! Watch out, Earthlings! 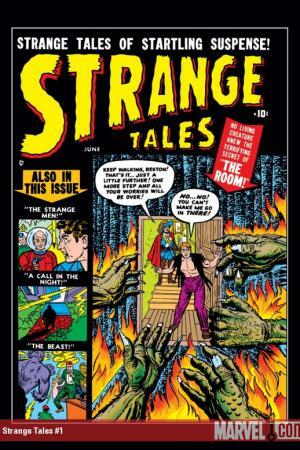 Strange Tales provides readers with one-off thrills, chills and far-out weirdness! Stick around for the first appearance of Doctor Strange in #110. Plus, meet the agents of S.H.I.E.L.D. in #135! While unabashedly propagandist, we love the time capsule of history presented in this morale booster. Key battlefield moments throughout history play out panel by panel! We invite you to Journey Into Mystery! 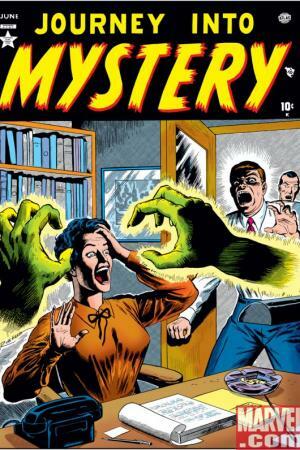 Try this anthology series with all the trappings of B-list horror flicks from its heyday! Plus, Thor’s first appearance is in #83! She’s sassy and slings spears! Meet the valiant Lorna, a young woman so at home in the African wild that she has a rapport with its wildlife! 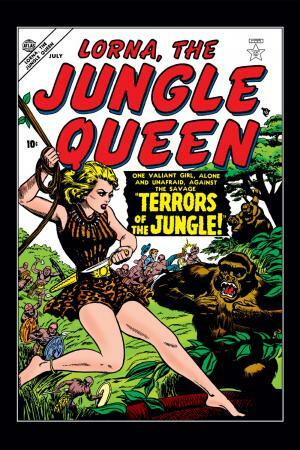 Continue the series after #5 with Lorna the Jungle Girl (1954)! 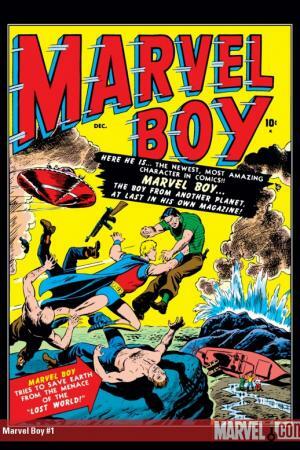 Before his mature reboot, Marvelman was Micky Moran, a newspaper copy boy granted atomic powers by a mad astrophysicist. With the utterance of the word “Kimota”, Moran transforms into a flying A-bomb. 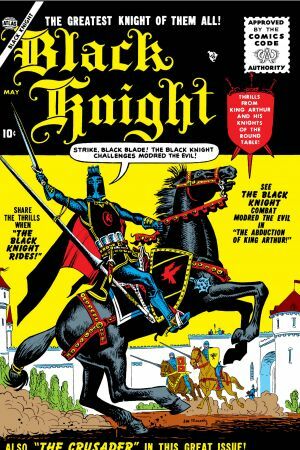 Adding a dash of sword n’ sorcery to the Atlas lineup, the adventures of Black Knight featured legendary battles from the Arthurian age! 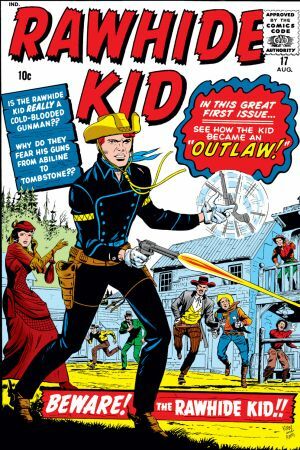 Fulfilling the Ole’ Western niche, Rawhide Kid came at the height of the cinematic craze sweeping the nation. The ‘kid’ proved to be one fast draw despite his unassuming nature. 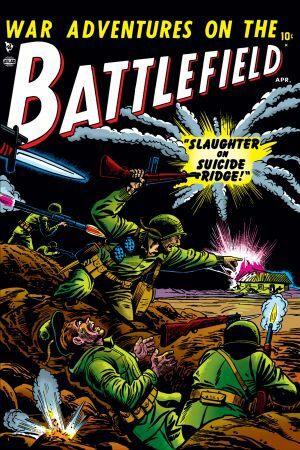 Maestros Jack Kirby and Stan Lee take the reins in this issue. Yee-haw! 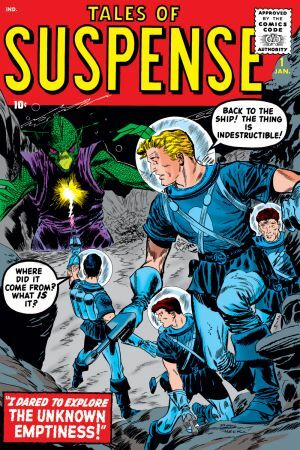 Reading like an episode of the “Twilight Zone”, each Tales of Suspense issue provided cosmic wonder against a backdrop of humankind’s exploration of space. Famous for its legendary Kirby monsters, this series left a lasting imprint on the industry for its blockbuster sheen and imagination. Plus, meet “Man in the Ant-Hill” Hank Pym in #27 and mark his transition into Ant-Man!